Posted on May 29, 2015 . 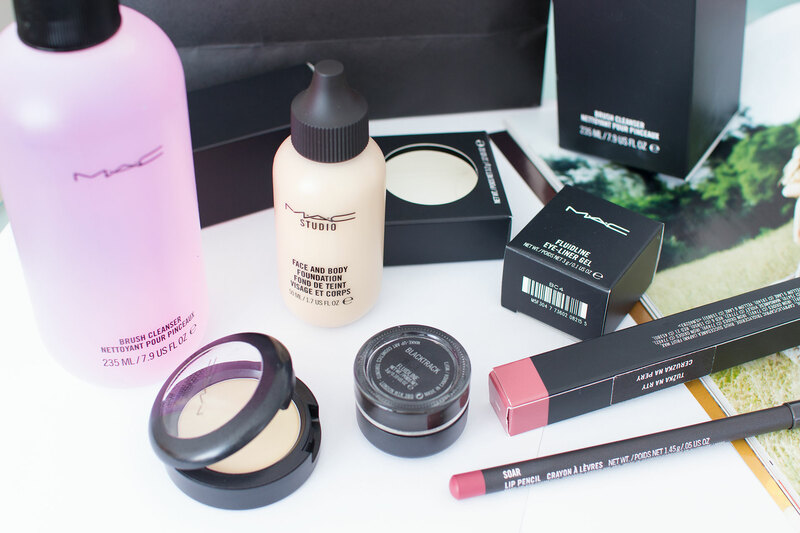 MAC counter is one of my favourite places to browse and shop. I’ve been there couple of times in the last few weeks (unsuccessfully trying to catch one lip liner in stock) and ended up buying a few other things. Both for personal use and my makeup artist kit. For now I decided to show you what I’ve picked up (mostly!) for myself. It’s a mix of repurchases, stuff I’ve been eyeing for ages and a few items I’ve bought on a whim. To get that big bottle out of the way first, I’m gonna start with the Brush cleanser. This is probably my third or fourth bottle and I’m still enjoying it. It’s not only perfect for spot cleaning but I also love using it to get the majority of creamy products and stubborn stains out of my brushes before deep cleanse with a shampoo/soap/whatever. The next thing I’ve picked up is the Fluidline gel eyeliner in ‘Blacktrack’. I’ve heard it’s as good as the Bobbi Brown or Inglot ones, which I like but they are harder to get hold of, so I decided to give MAC a try. The swatch I did in the store stayed on my hand for hours and I had to use a waterproof makeup remover to actually get it all off so I guess so far so good. And last, but certainly not least, I’ve picked up the Cream Color Base in ‘Pearl’. I love a good multi-purpose product and this one looks just gorgeous. I think it will be perfect as a cream highlight but also as a nice pearly eyeshadow base. Anyway, I’m definitely keeping you posted how we’re getting on! Have you tried any on these products? I’m curious if you like them. And what’s your recent MAC purchase? 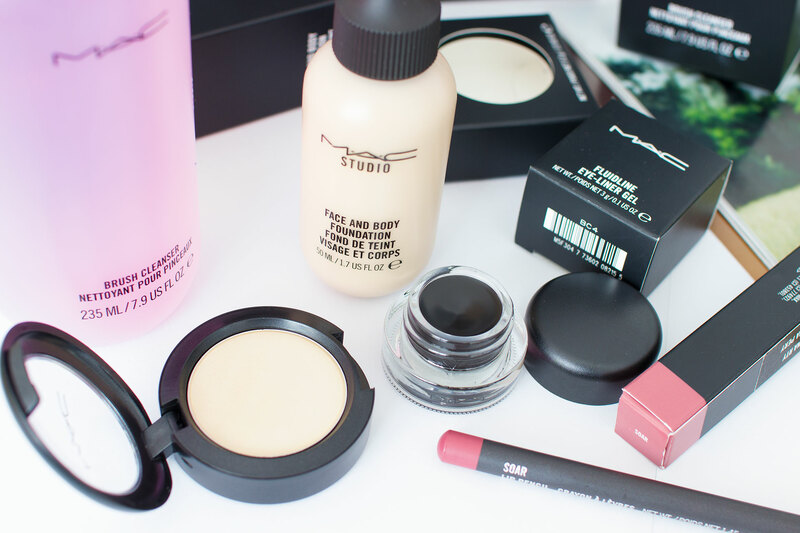 I love my Mac face and body, it’s my go-to foundation in my kit, but I find that it breaks me out! I’m gonna try a different Mac foundation and see if I get the same reaction.